Innovation is the outcome of habit, not a random act! 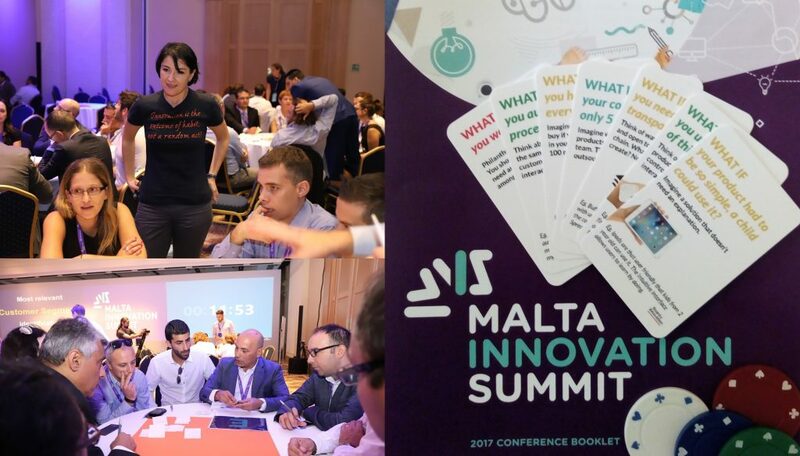 When earlier this year I was approached by the organisers of the Malta Innovation Summit 2017 in order to contribute to the event, I immediately thought of preparing and delivering a practical innovation workshop. The idea was to devise it in such a manner that each and every participant be engaged, inspired and involved hands-on in idea generation, whilst also guiding them along a process of individual and group thinking, discussion and evaluation for shortlisting most promising ideas. The ultimate aim: to take all participants through a structured process of innovation as an example of how various innovation approaches, strategies, initiatives, methodologies and tools could be brought together and applied in a very practical manner and context so as to systematically stimulate innovation. In each of us, not just the very creative few! Like a LEGO set, all these components of the innovation process can be mixed and matched and put together in various formats. They can, and should be tailored to the specifics of a particular company/organisation during in-house corporate innovation days or specific team workshops. They can also be more generally combined and applied during multi-party innovation initiatives. The MIS2017 event was a public one and brought together over 200 professionals from various sectors (economic, social and even governmental), and hence the workshop had to focus on a challenge applicable to all. 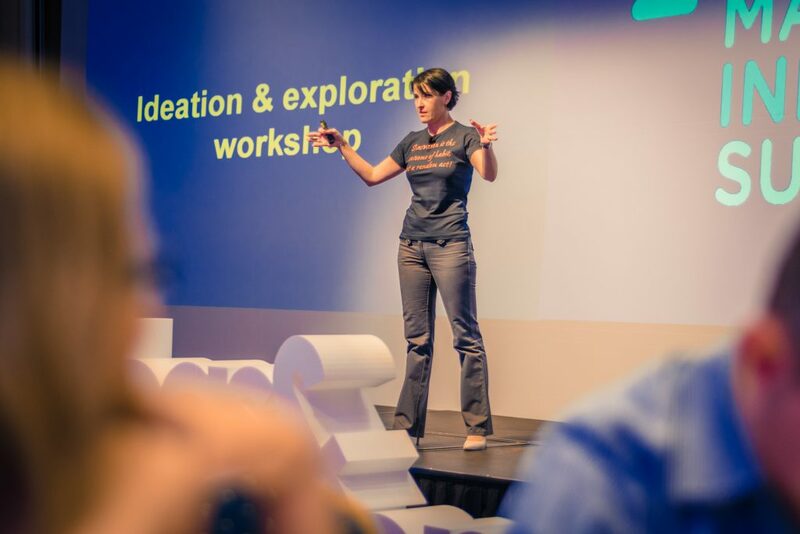 I chose the increasing traffic problem, as this was something that all participants could easily relate and contribute to, and we addressed it from the earliest stages of innovation – the ideation & exploration stage. Following the Design Thinking process, rather than just jumping into brainstorming solutions, the participants were first asked to clarify the specific customer segments to target, and to identify their most pressing problems. This is clearly one of the biggest pitfalls that companies and organisations face when trying to come up with innovations. Paraphrasing Dave McClure, they don’t realise (or forget) that customers don’t care about your solution, they care about their problem. To get everyone really in the mood, we had fun motivational posters around; we brainstormed individually and in groups; we put ourselves in customers’ shoes and followed their journey; we played cards to stimulate our analogy thinking; we placed our bets on the various ideas, and all these whilst running against set timelines! Because speed to the market is crucial nowadays, as is the need to learn how we can marry creativity with structured thinking, and robust evaluation with fast, iterative prototyping. Whilst this MIS2017 workshop focused on exemplifying a solid idea generation process, other workshops can be structured so as to train and guide innovation teams along the customer validation and business modelling phases of getting an innovation ready for market launch and commercialisation. So, think big! But also, act small and fail fast, and then pivot as necessary! Innovation is not a matter of just waiting for the apple to fall (apologies to Newton)! It’s about creating and following a blueprint of how to innovate. One that works for your company. For further information about how your company can benefit from this process, and how such modular workshops can be tailored specifically for your company or team, please do not hesitate to contact us. Looking forward to hear from you! This entry was posted in Articles, Events, Innovation management, SMEs and tagged Design thinking, innovation process, innovation tools, taking ideas to the market, training. Bookmark the permalink.